This Chiswick large Chinoiserie decorative garden bench is wonderfully decorative and aesthetically appealing, making it an attractive focal point for any outdoor setting. 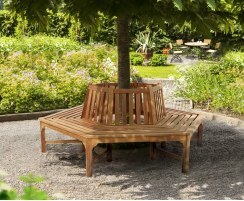 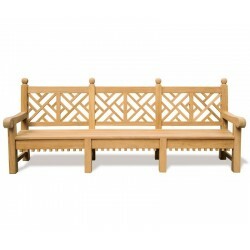 This decorative teak garden bench is a comfortable seating solution for you and your guests that is sure to leave a lasting impression. 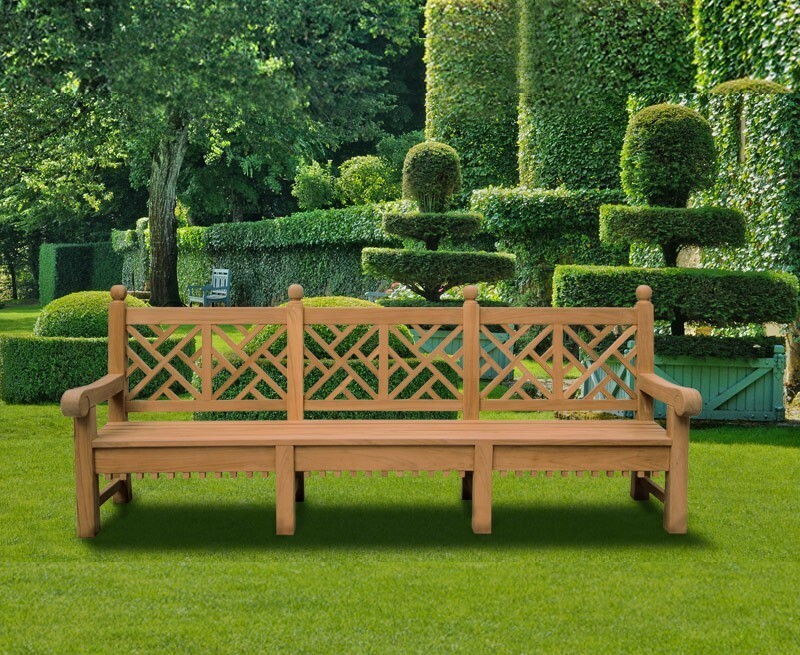 This Chiswick large Chinoiserie decorative garden bench has been robustly constructed from sustainably sourced A-grade teak using tight-fitting mortise and tenon joints for durability and aesthetic appeal. 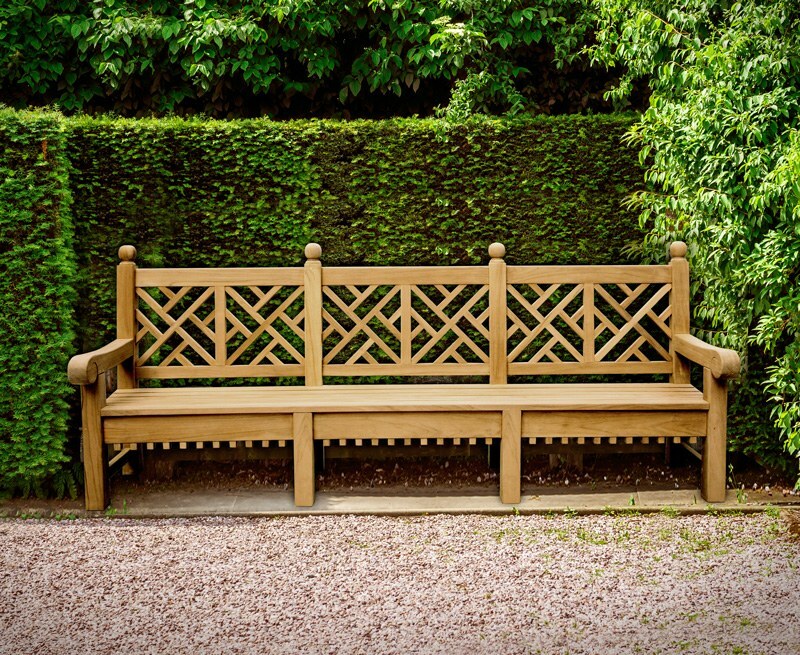 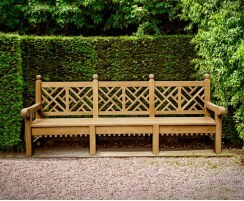 Featuring a lattice backrest, scrolled arms and crenellations, and at a generous 2.75m, this stylish Chinoiserie teak garden bench is the height of luxury and style without compromising on comfort. 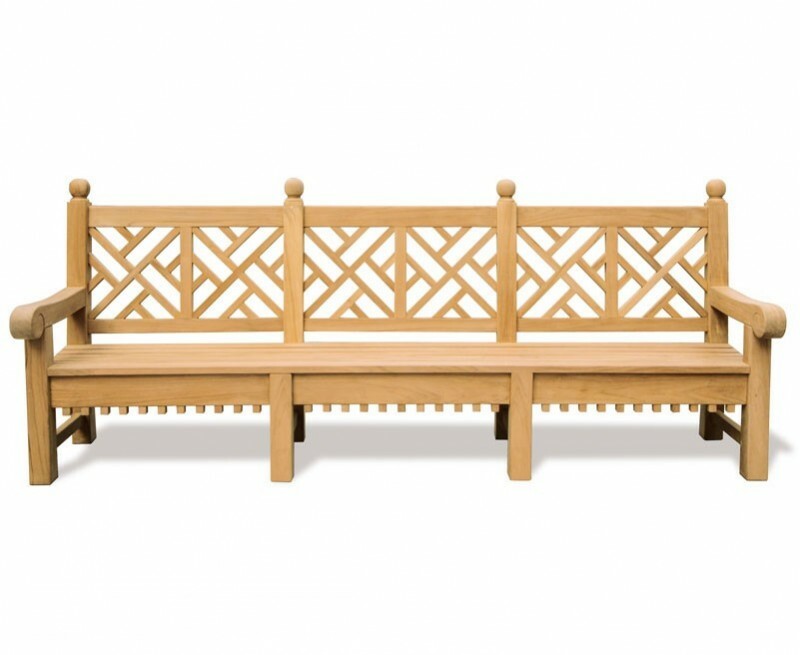 Withstanding even the most inclement weather conditions whilst requiring very little maintenance, it can remain outside all year round, making it ideal for deployment in schools, pubs, restaurants, hotels, and so on, although it is equally at home in private settings. 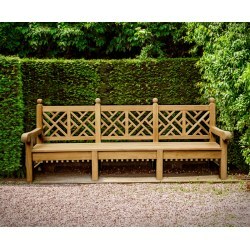 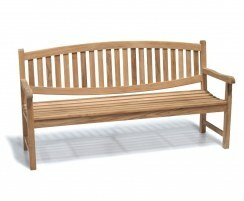 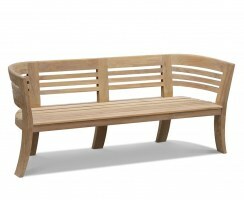 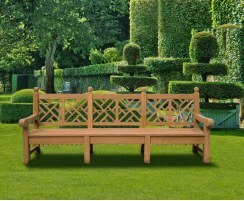 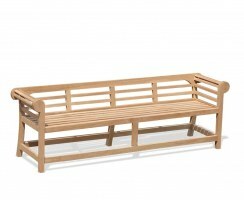 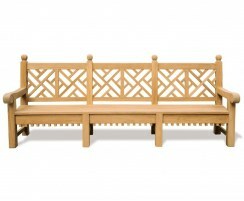 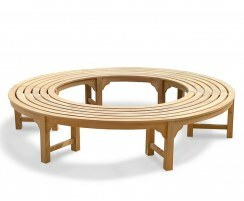 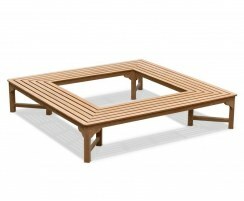 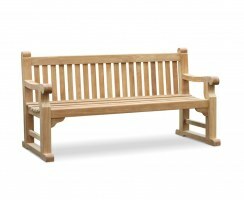 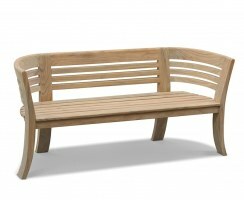 We will deliver this decorative garden bench to you fully assembled for your immediate enjoyment.